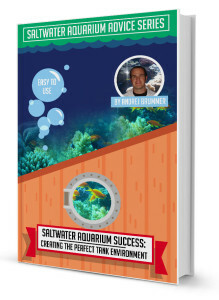 "Avoid harmful aquarium mistakes with scientist's easy secrets to thriving saltwater tanks"
Don’t join the 90% of saltwater aquarium keepers who fail and have quit this hobby within 2 years! Now, that I’ve got your attention… Hi, I’m Andrej Brummer the saltwater scientist. Since you’re here you’ve probably heard how I am a biologist who studied marine biology yet still crashed my aquarium not once but twice from silly little mistakes I even didn’t know I was making! It’s ironic that I studied captive marine systems at university and aced marine bio – yet my expensive fish died, my corals dissolved, I had parasite/algae/disease breakouts and my water chemistry wouldn’t stop fluctuating. I was arrogant and stupid, I thought I could wing it…but I paid for my mistakes with thousands of dollars, years of lost work and destroying all the love I put into that tank and my beautiful pets who were now dead. It was incredibly frustrating and confusing. You already know after becoming fed up with failure I decided to properly apply my biology degree to the problem and do things according to marine biology principles of captive marine systems. I spent years researching, observing, experimenting, testing and measuring everything for myself scientifically until finally – everything fell into place and my tanks transformed before my eyes! My tanks started easily thriving and I was soon giving aquarium keeping tips to students and senior scientists. I knew I had cracked the holy grail when I kept getting invited to do presentations to marine biology students. I was nailing it and becoming a well known saltwater aquarium author and mentor. The weird thing was that so much of the marine biology theory on captive marine life systems I learned and stuff I researched myself just wasn’t online or in all the home aquarium books I had read. Since then I’ve been able to consistently maintain hugely successful saltwater aquariums and keep marine life perpetually thriving and trained thousands of other how to do it too. And I’m guessing you’re pretty keen to start getting similar (if not better) results! Am I right? Good, Let me show you how I can best help you. You see I’ve had so many aquarium fans approach me wanting to get their tanks to succeed and asking “how do you fix that?” or “can you show us how to do the same thing?” that I have decided to put together this mentoring program. You will learn my practical, step-by-step system and I’ll show you exactly what you need to do to create a stunning, mesmerizing marine tank that all your friends rave about. You love your marine life and want to give them the best life possible. Let’s face it – if you’re confused or don’t know what you’re doing sudden tank crashes or losing livestock is a serious possibility. You want to fast-track your aquarium to the next level. You might be competent with your current set-up, but you want to do more advanced stuff like breed your fish or finally get those SPS corals to flourish. You never know which piece of conflicting advice to trust. You read forums, websites and even get slammed on Facebook pages to find answers to your questions, and you’re left more confused than when you started. You’re sick of being led astray by your local fish store. Hardly a week goes by that I don’t receive a message from one of my saltwater aquarium fans complaining about bad advice they received at their LFS. OK, you can blame them – they do need to make money but the reality is most of them just don’t know enough. Many are happy to profit off your blind faith = your fault! You want to stop wasting money on your aquarium. One thing fish stores are good at is making you spend money on equipment additives and things you don’t need. Not to mention ill-fated livestock – do you really know how to avoid the 80% of wild caught livestock that will just end up perishing under your care because of the stresses of capture and transport? You think having access to me would help your marine life thrive. Imagine having a degree qualified biological scientist on call to ask questions when you need an answer. You want to put an end to ongoing tank problems. Whether it’s pest algae outbreaks, too much phosphates, high nitrate readings or temperature fluctuations, these problems just keep coming back. I bet I have the solution you’ve been waiting for. Fish diseases and coral disorders have you quaking in your boots. You have to diagnose and take the correct course of action fast when an expensive pet is at risk. Do you really know how to deal with the many different fish, invert and coral diseases and disorders out there? You are worried about what to do in an emergency. What if the power goes out, what if you spring a leak, have a piece of equipment fail, have to go on holiday? I’ve got you covered. You know having the successful set-up of your dreams is possible but aren’t sure how to get there. I remember this feeling all too well. Seeing your fish or coral sick or dying gets the desperation kicking in… you know other people have thriving marine aquariums but confusion and conflicting advice leaves you not knowing where to start. Here's the thing: Setting up a basic saltwater aquarium costs around $2,000 - $4,000. You can either risk this money with trial and error...or you can pay a tiny monthly fee to massively increase your chances of success. I’ve got 2 tanks a little Nano and a 55 gallon tank. I’m looking to upgrade and are like a little sponge reading up and making sure I get all the correct equipment. I’ve also included a photo of my tank. I have found your book to be very helpful , mainly because it has helped me know more than my husband :). Now he is listening to me about what to do, and it is working.. If you can’t wait to get started and want instant access, simply click on the button below right now. You’ll then be taken to your secure members area. Direct Access to Me, your resident Saltwater Scientist. I’ll take the time to work with you one-on-one to get your saltwater aquarium problems solved. I’ll look at your current aquarium and give you clear, actionable steps on how to take your fish only, fish only with live rock or reef aquarium to the next level, specific to YOUR goals. This process will help you get results faster and clear up anything you’re not sure about. Weekly Mentoring e-Classes Straight To Your Inbox, that take you step-by-step to your saltwater aquarium being a stunning masterpiece with thriving marine life. Everything is explained in an easy to follow way that you can immediately implement. You won’t just learn what to do but why you are doing it. You get all the tips, insights and examples that I use in my own and my clients marine aquariums. Each weekly eclass has been purposely designed for your ultimate accelerated learning experience. My Unseen Saltwater Aquarium Success Blueprint for how I get my own aquariums to run like clockwork, with pristine water quality for minimal effort. When you have this information, your saltwater aquarium will thrive. Once I did this my saltwater tank started running like a finely tuned machine and I haven’t looked back since! Fish Bios for the 184 Most Sought After Marine Fish – you’ll be able to read about my stocking tips, expected adult size, feeding habits, care requirements, and co-habitation do’s and don’ts. How to stock correctly is the most important aspect of setting up your marine tank and the area where most mistakes are made. 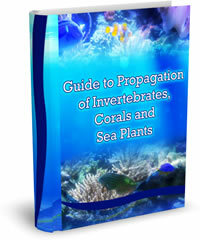 FREE access to ALL of my previously published Saltwater Aquarium eBooks. As an author of 11 marine aquarium books so far and counting, I’ll give you all of my books as my way of saying thank you for being a dedicated saltwater aquarist as part of your VIP membership. Invitation to my annual Saltwater Discovery Vacation. Hang out with me in an exotic destination teeming with marine life and join in on snorkeling and / or diving underwater adventures and informative presentations. Offers And Discounts on my exclusive not-yet-released Saltwater Aquarium product recommendations and books when they come to market. You’ll have first pick of all the newest marine tank information at your fingertips. My goal is to offer you enough discounts during the year to pay back the cost of the mentoring program at least 5 fold. My Secret, Specific Training On How To Cultivate Intensely Colored And Extended Corals. Because as a fellow saltwater aquarium lover, I know how satisfying it is to have bright and fully extended corals to gaze at. Once you have coral, gently nurture it using my system so it becomes the stunning star of your marine aquarium. Question And Answer Section on the members only website with answers to frequently asked questions. You can also email me any questions or ask me for feedback. I am 55 years of age . When I bought your e-book I started to mix my own water. What was important to me was to learn the art of fragging. This I have successfully achieved this and sold to 2 pets Shops In South Africa (Elite pet shop which were situated in Bellville, Cape Town South Africa as well as Panorama Pet shop situated in Parow Cape Town). I really enjoyed the ebooks that I’ve purchased. All in all, very helpful, especially for someone new to the hobby. Imagine your saltwater aquarium headaches are a thing of the past. With my mentoring program, this can be your reality. Essential information you must know before stocking your saltwater aquarium. In this book I provide information about saltwater aquarium fish including natural habitat, food requirements, size, intra- and inter- species compatibility and potential to breed in an aquarium, accompanied by full color pictures. >>Normally retails for $27, yours free! Captive bred marine fish are becoming hugely popular as they are ecologically sustainable, more robust, less prone to disease, are less fussy eaters and live longer in tanks than their wild caught relatives – they are the future of the aquarium hobby. You learn it all; from finding or creating a breeding pair, to inducing spawning behavior, egg laying, larvae hatching, rearing and feeding, right through to metamorphosis and grow out. >>What are the easiest marine fish for you to breed and how do you give yourself the highest chance of success. >>Exactly how to select a perfect mated pair or get a group of fish that are going to be able to produce healthy babies. >>How to induce your marine fish to spawn (this is the most important stage and needs to be done just right). >>The critical keys for marine fish breeding success, broken down and made simple. >>How to take care of the eggs, larvae and fry and get the highest survival rates. >>How to correctly set up a rearing tank for the larvae, so that you experience the least losses possible at the metamorphosis stage of development. >>How to go about feeding larvae at different developmental stages and how to easily culture their food yourself. >>Making sure your babies survive the metamorphosis stage and preparing a suitable “grow out” environment. >>All the information you need to succeed breeding Clownfish. This is written as a detailed case study, so you can easily follow the steps. 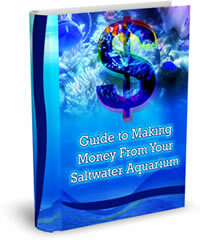 >>Ideas and advice for turning your marine fish hobby into a profit generating business. 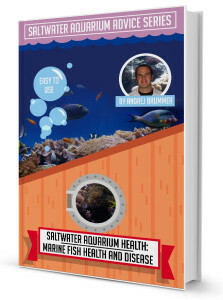 Get my dedicated guide to minimizing marine fish, coral and invertebrate disease in your saltwater aquarium. You’ll learn the key factors about how to eradicate 90% of disease that will ever occur in your display tank. >>Discover the single most effective way to acclimate new marine life, to eliminate disease-causing stress. >>How to choose the best marine specimen in the entire store and avoid the duds. >>The top diseases and what to do about them to stop them occurring or coming back. >>How to choose only species and individuals that will thrive in your saltwater aquarium. >>Normally retails for $10, yours free! Get the edge when it comes to setting up your ultimate saltwater tank the right way, first time. 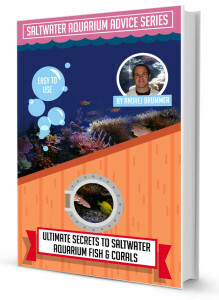 This book covers everything from a basic Fish-Only Set-Up to advanced Reef Set-Ups. Learn everything you need to know to make the right equipment choices and how to choose your marine life. >>The bulletproof saltwater scientist blueprint that will ensure every step you take is the right move for you and your tank. >>How to avoid the big stocking mistakes that most people learn the hard and messy way. >>The best biological filtration in existence and how to achieve denitrification in your tank. >>How to turn your tank into a brutally effective life support machine for both fish and corals. >>Lighting for fish-only, FOWLR and reef tanks without the overwhelm and confusion. >>Amazing aquascaping that provides all the microcosms your marine life require. >>Understand the biological cycling process easily and how it relates to thriving marine life. >>Normally retails for $10, yours free. Without pristine water quality your marine aquarium is doomed from the start. Learn what it takes to have the perfect saltwater tank environment for your marine life to thrive. >>The 4 marine biology keys to constant, fantastic water quality. >>How to avoid the top 10 most common saltwater aquarium mistakes that everybody else is making. >>How and when to test for which water parameters using what. >>Understanding chemical control for optimized reef tank environments. >>How to minimize the chance of system crash in nano tanks and other tiny aquariums. >>Water parameters – what they should be for your particular tank set-up and how to adjust them. >>How to assemble a team of marine tank janitors that will do your work for you. >>The best methods for dealing with dissolved organic waste. >>How to use denitrification to improve your water quality by reducing nitrates. >>Why putting less into your aquarium is really more. >>The nitrogen cycle and beneficial bacteria explained in a way you easily can understand and get benefit from. >>What makes a good protein skimmer and which one you should get. >>The best ways to control your tanks temperature range. >>How to control outbreaks of pest algae. >>How to use quarantine to preserve your healthy environment. >>How propagating corals, invertebrates and sea plants can generate profit. >>How to go about breeding fish, corals and invertebrates for income. >>What you need to know to grow prized specimens of marine life you can then onsell. >>How to create the right conditions and environmental cues fish need to breed. >>How you can easily provide nesting materials for nesting species to spawn. >>What you need to know about the different breeding habits of fish species and what species are easier to breed than others. Corals are the most tricky marine pets to get thriving. Learn about coral health, diagnosing disease, fragging, the physical and chemical conditions required, and all the tools to keep happy corals. >>Choose the exact components that create an optimized life support system for your corals. >>Break through the overwhelm of reef lighting systems and understand exactly what your corals need and how to provide this within your budget. >>My weird method for Placing your corals optimally in regards to ideal light and water flow. >>How to choose the right corals for your tank; those that are compatible, easy enough to care for, and will get along with other marine life and thrive in your aquatic environment. >>How to select the right specimen at your local fish store and not bring home one of the duds the LFS dude is trying to get rid of. >>The easiest way to create pristine water quality for your reef. >>What testing and chemical components you actually need to know about, everything you’ve heard is a lie. >>How to give your corals the best chance of survival using the right acclimation and quarantine strategies that are guaranteed to increase your survival rates and virtually eliminate disease and coral problems. >>Best strategies and tips to get the best results from soft corals, LPS corals and hard corals. >>How to frag and effectively diagnose and medicate your corals. >>The heads up on the most common coral pests, parasites and diseases. >>Use supplementary feeding to provide up to 50% of your corals energy requirements. >>How to wipe out pest algae in your reef tank and avoid the most common coral problems occurring in the hobby. Keeping your marine fish healthy is how you have a stunning aquarium. Learn how to easily diagnose disease, feeding, and conditions required for your marine fish to thrive. >>Quickly identify and effectively treat the “big 3” saltwater aquarium marine fish diseases before they take hold. You usually only have 1 chance at this. >>Most causes of marine fish disease breakouts aren’t actually pathogens or parasites, but environmental factors. Learn how to eliminate them in your aquarium. >>How to use “intelligent selection” to choose the ideal specimen, that will work for you and your tank, every time. >>Understand the health requirements and selection tips for Tangs. >>The questions to ask and observations to make at your local fish store to ensure you don’t go home with a fish that is going to cost you money. >>Understand the health requirements and selection tips for Butterflyfish. >>Good water equals good health; learn the easiest way to ensure optimal water conditions. >>How to deal with your bully fish and other forms of saltwater aquarium aggression. >>Understand marine fish nutrition for your species of fish. >>Understand the health requirements and selection tips for Angelfish. >>Use the correct acclimation procedure to make sure your new pet isn’t in the 80% who don’t make it from reef to home. >>Use a combination of food types to give your marine fish the optimal diet that will ensure better coloration, good growth and dynamic behavior. >>How to read the behavioral and physical early warning signs of disease. >>Exactly what you should have in your saltwater aquarium first aid kit to save lives. >>Prevent disease using a fail-safe quarantine strategy that most public aquariums and fish breeders swear by. >>How to virtually eliminate fish stress; the underlying cause of most disease. >>How to stock your tank effectively to minimize marine life stress and conflict. My bestselling ebook with over 3,500 happy customers. This comprehensive book contains tools to succeed in all aspects of successful saltwater aquarium keeping. >>How to eliminate up to 90% of all saltwater aquarium fish and coral diseases. >>What equipment you really need and what is going to be a waste of money for you. >>How to ensure you don’t choose one of the 80% of wild caught marine pets that are doomed from the start. >>The 4 biggest diseases and how to diagnose and combat them. >>The specific husbandry techniques absolutely necessary for thriving photosynthetic corals and invertebrates no reefer should be without. >>The fundamental methods of feeding that will result in much happier, brighter, more active, healthier fish. >>Normally retails for $37, yours free. 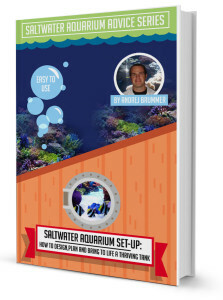 My saltwater aquarium “9 Success Tools” provides the basics to success with a marine aquarium, including Fish Only tanks, Fish Only With Live Rock (FOWLR) tanks, and Reef tanks. >>Mimic the ocean – exactly how to simulate the 4 crucial physical conditions of the natural coral reef environment. >>How to avoid the 10 most common potentially fatal pitfalls. >>Specific steps to creating fantastic quality water that will have your marine pets not only surviving but thriving! >>My scientists’ secrets to highly efficient and easy saltwater aquarium maintenance that will ensure your marine life support system is working at it’s best. >>How to identify and minimize stress in its many forms in your saltwater aquarium. Stress is the number one killer of captive marine fish and invertebrates. >>What it takes to provide a correct diet for your marine life so colors are more vivid, activity levels are higher and your marine pets live longer. I've added so much value to my mentoring program that it's a complete no-brainer for you to join. 1. It’s my way of saying thank you for being a dedicated follower of mine. 2. Because (unlike other “gurus”) I’m genuinely passionate about saltwater aquariums and helping people succeed with theirs. 3. I’m sick of people throwing out ‘facts’ about saltwater aquariums without any real proof to back it up. I think 99% of what is said online is complete BS… so I thought it would be a breath of fresh air to publish the TRUTH, show the scientifically tested and proven ways to succeed with your marine tank. P.S. Please be an intelligent saltwater aquarist. Don’t join the 90% of marine aquarium owners who throw away thousands of dollars by failing at this hobby. Let’s face it: if you’re not prepared to pay $27 a month to ensure the success of your aquarium, you might as well quit now.